Malfinis Productions was first established as a Theatrical and Illustrative Arts Production and Training house. In order to accomplish these goals Malfinis has divided its operations into two ; Malfinis Theatre Co, and Malfinis Film & Animation Studio. “Apwe Plezi” radio drama was produced for RARE center for Tropical Conservation by the MTC as the first drama with a family planning theme. The Malfinis Theatre Co. sees the use of Education-Entertainment( Edutainment) as being the foundation for the development and production of past productions such as “Apwe Plezi” and “Malfinis”; the current radio drama “Calaloo” and future tv dramas on the social and socio-economic issues of the country. Education-Entertainment increases demand for services, motivates people to protect their health, environment and social conditions and demonstrates to providers how to improve services. Born on the 14th december 1958 on the island of Saint Lucia, to parents Eric and Zilma Branford,Mr. Branford’s contribution to theatre and other stage productions at home and abroad have been numerous. His repertoire includes the design and construction of costumes and sets for local producers like Lucia Peters-Charlery, Allan Weeks, Jacques Compton, George (Fish) Alphonse, Michael Fontinelle, Alvin Hippolyte, Kendal Hippolyte and Roddy Walcott, in plays such as Doctor in Spite Of Himself, Banjo Man, Hoist Your Flag, Letter From Leonora, Crossings, Ti Jean And His Brothers, Journey Of Ti Marie, Agnes Of God and Malfinis, to name a few. He was the set designer for all the Local Music Expose shows from 1992 – 1995, as well as for several fashion shows and our own Jazz Festivals. 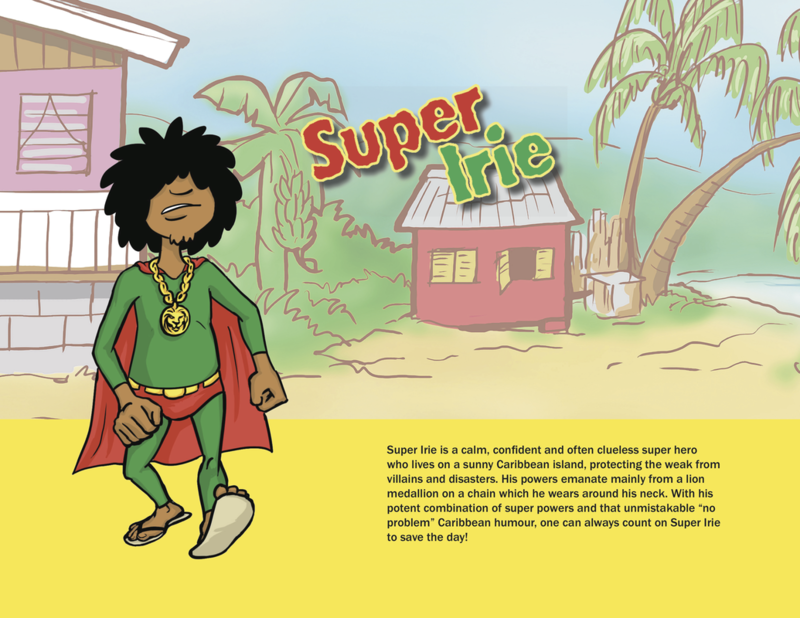 His set designs have also graced stages in Trinidad and Tobago for Carifesta,Jamaica,Barbados, St.Kitts Nevis and the Commonwealth Institute in the United Kingdom. Barbados has also tapped into his creative ability. The large retail store Da Costa& Musson commissioned Mr Branford for two consecutive years to design and build costumes for their Crop Over Band, and to teach key band members advanced techniques of costume design and construction during the early days of Crop Over Carnival. His creative ability has also secured him the top prize for Theatre Set Design at the M & C Fine Arts Awards on two occasions. of Carnival,that is Costumes, Music and the general organisation of carnival related activities. A much accomplished carnival and stage costume designer , Mr Branford was also a founding member of the Saint lucia Carnival Bands Association and served as the associations's Chairman for several terms until he became the Chairman of the Board of the Cultural Development Foundation of his island home, Saint Lucia. He remained Chairman of that Institution for 5 years. This versatile artist has been involved in acting, stage management and directing. He was Co-ordinator for Music Expose in 1994 and 1995, and the Director of the popular radio drama ‘Apwe Plezi and now the new radio drama "Callaloo". He has also been the Executive Producer of the first St Lucia Fashion Designers Awards presentation. 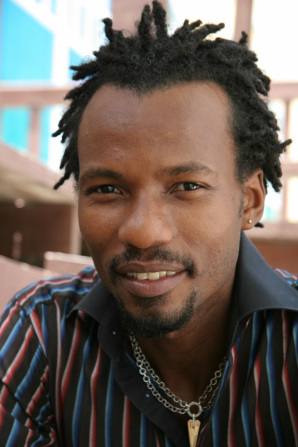 His acting ability has placed him in Derek Walcott’s production of Haitian Earth, as well as in the Radio Drama Apwe Plezi. Mr Branford successfully attended a three week workshop on Directing for Film and Television conducted at the Creative Production and Training Centre Limited(CPTC) in Jamaica, this workshop was conducted by then Resident UCLA Professor, Myrl Schriebmann. Mr Branford was also called upon to conceptualize and develop an architects brief for a new modern full facility cultural complex for presentation to the Chinese government. This brief was completed , submitted and approved by the Chinese government and was earmarked for construction. This project however is yet to be realised. This is the picture of a well rounded Artist/Designer/Manager/ Performer who has dev﻿﻿﻿oted hi﻿﻿﻿s life to the improvement of show business , the Arts, and Culture in St Lucia. Chris Satney is from the island of Saint Lucia and is currently employed with the Government Information Service as its Head of Production. A career journalist/broadcaster, Chris has talents in the technical field and is one of the reasons why he is Callaloo’s Audio Director. This is Chris’s second stint with Media Impact and Malfini Theatre Company, having served in the record breaking serial drama Apwe Plezi in1990 as one of its lead characters and sound engineer. It was this new reality which propelled Chris to leave a career in teaching to start one in the media. The father of one child, his daughter Kaalee, Chris has worked at several media outlets including Radio Saint Lucia, Radio Caribbean International, Radio 100, Helen Television System (HTS) and Accella Marketing. Through his 15-year-old career in journalism/broadcasting Chris has worked as a radio announcer, reporter and producer, having spent most of that time with the Government Information Service. Jimmy J. Clavier is one of the few animation directors who has never participated as an animator. Clavier joined Malfinis in 2011 as the Project Development Manager. He garnered attention at Malfinis by assisting in securing the necessary funding for the establishment of the Film & Animation Studio. As the co-founder of Malfinis Film & Animation Studio, Jimmy J. Clavier helped to create what will prove to be a leading studio and brand in Saint Lucia. 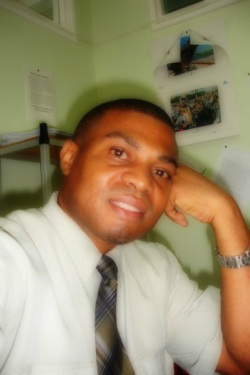 A Sales & Marketing veteran, Jimmy was CEO and founder of NrG Promotions in Saint Lucia. Prior to working with Milton Branford on establishing Malfinis Film & Animation Studio, Jimmy held various senior positions in the Fine Jewelry Industry, including No. 1 Jeweler with Harding Brothers on the Celebrity Solstice and the Seven Seas Navigator cruise lines. A graduate of Monroe College (Saint Lucia) in Project Management, Jimmy has since moved on and is now currently employed full time with the Cultural Development Foundation of Saint Lucia under contract as the Public Relations and Marketing Officer.